Thenzawl, in the state of Mizoram is often called a Handloom City. Their product has reached not only other towns and villages within Mizoram, but other states of the country as well as foreign countries. Located 43 kms from Aizwal, the state capital, Thenzawl is an important hub of traditional Mizo handloom industry, which produces rich and colorful varieties of Mizo traditional textiles. 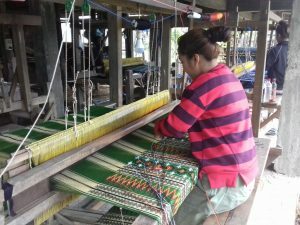 The Industries Department under the Government of Mizoram has taken various initiatives in promoting this handloom industries and had even setup a Handloom Complex where almost all households own looms. Chhuanthar Tlangnuam also known as Baktawng is famous for their carpentry products. Almost 70% of the total household depends on carpentry as their occupation. 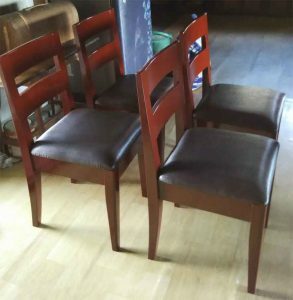 These household usually had their workshop in the basement of their home and work daily with only some basic carpentry tools available with them. There are few households who could not afford to own separate workshop, in such cases they share and run workshop together with other families. 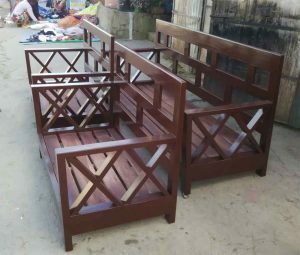 Teak wood is the main raw material used for their products; these raw materials are obtained from other places. Their finished products are exported to Aizawl from where they are again distributed to different locations. The price and quality of these products is the main factor that makes them very popular. Alluminium Pottery is another important occupation in Chhuanthar Tlangnuam. 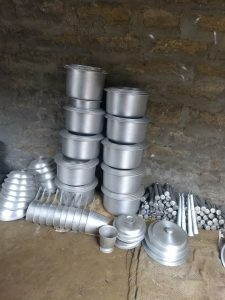 Cooking utensils are the main products. The most popular product is big cooking pan also known as “Bel” or “Dekchi”. These big cooking pans vary in sizes from 3 litres to 120 litres. These products are exported to all parts of Mizoram and other parts of the country.